My name is Stephen Padulsky and I am a Los Angeles resident. I am writing to express my extreme disappointment with the unkept roads in this city. At 10:00am on Monday, February 27th, 2017, I was driving in Hollywood. 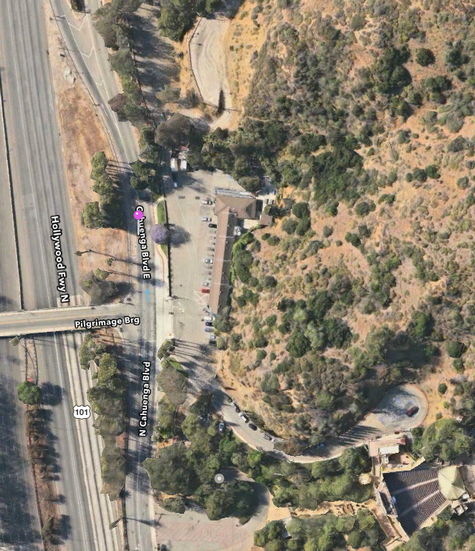 While merging onto the Hollywood Freeway (101 North) on Cahuenga Blvd East I came across two very large adjacent potholes in the far left lane. Both the traffic and size of the potholes prevented me from rerouting my course and I, like many other cars, had to drive over them. Unfortunately, the impact immediately ruptured my front right tire. 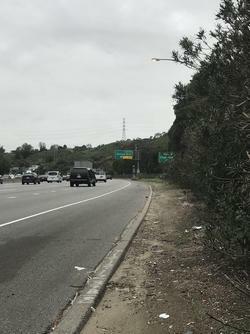 At that point I had already merged onto the freeway where I quickly pulled over to the shoulder to prevent further damaging my the axle (please see below image with reference to the location of where I pulled over; before exit 11A Barham Blvd). Also, as you can see from the below picture, the tire is completely flat. Fortunately, I have AAA which came within thirty minutes. However, I am now left inconvenienced by having to replace the tire. This is both a financial burden and waste of my time. The initial estimate for the repair is over $200 not including the service. Before moving forward I need to be reassured that I will be fully reimbursed for an easily preventable incident. There are so many potholes throughout this city that continue to cause wear and tear to my tires, fortunately, this is the first time it has caused irreparable damage. However, I would like to know that these potholes will be repaired in a timely manner. They are located in a high traffic area that I’m sure many drivers have experienced similarly scary encounters.As a tax-paying resident, the city has a responsibility to ensure my safety. I trust you as my councilman and therefore, in turn, you should demonstrate that my trust is valid and supported by your commitment to alleviating the burden this incident has caused me. I request that you provide an appropriate form of goodwill gesture to me in the form of full reimbursement for the repair. Many thanks, in advance, for your attention to this matter. I look forward to hearing from you and receiving compensation. I hope this can be resolved as quickly as possible for my sake and to prevent endangering the lives of other unsuspecting drivers.Attached please find an image with my best estimation of the location of the potholes (see purple pin). Unfortunately, I do not have an exact picture as I was unable to pull safely over in that area. But I recall them both being after the light at the Pilgrimage Bridge, approximately 100ft. I contacted the Los Angeles Bureau of Street Services to confirm if this has already been reported, but I haven’t heard back yet. 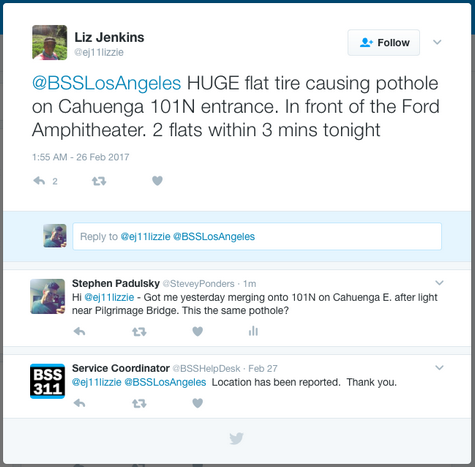 However, according to Twitter, a driver reported a pothole on 2/26 in the same location, which BSS confirmed the location had been reported. I wanted to bring this to your attention as others have been affected. “My name is Sam Benedick. On 2/8/17 at 12:10 pm I had a pothole incident. I was going north on the 710. 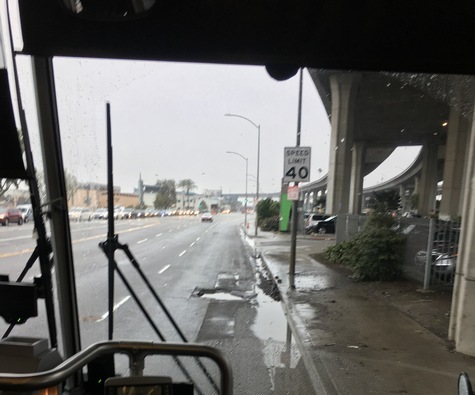 In the second leftmost lane around a CORNER there was a gigantic pothole deeper than I’ve ever seen, I had no time to react safely so I went over it. 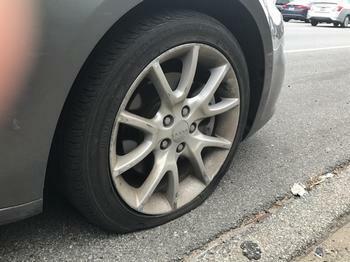 My tire pressure read low immediately and I heard rattling from the outside, knowing something was wrong. A minute later I broke down on the right side of the 710 (safely, thank goodness) right before the exit To Willow St West. I called AAA and they sent a tow truck out. Mr. Benedick’s right front tire was damaged; it needed to be replaced and then the car needed a front-end re-alignment. Total damages: $421.00. 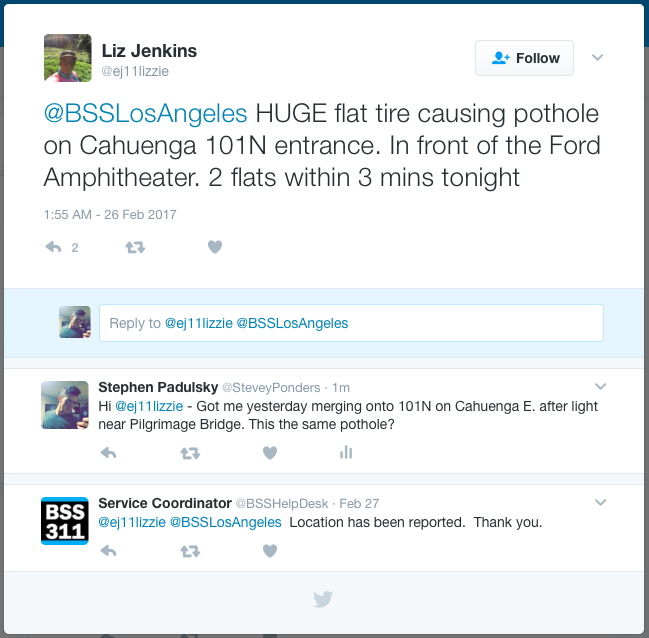 Just bringing to your attention that there is a big pothole on La Cienega (when you drive northbound) right around 1200 S La Cienega. It caused me to have a flat tire instantly and put me in a dangerous situation. The pothole will cause other people to have flat times. Please, fix it as soon as possible. 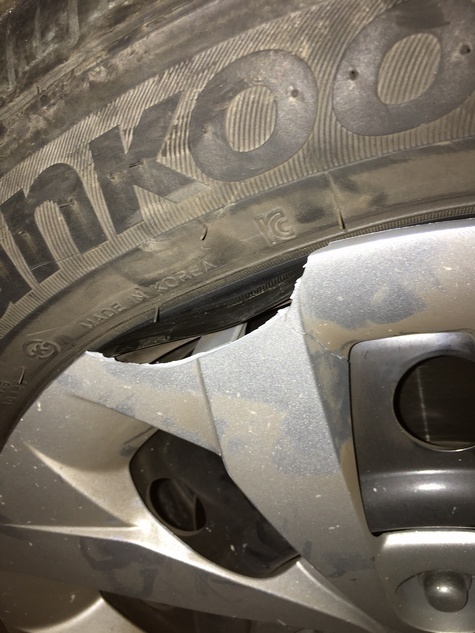 There is a large pot hole on Imperial Boulevard east of Aviation Boulevard, my wife drove her car and hit it hard, please see picture, thank you. Really wanted to thank you for such a great and informative resource on potholes problems in LA city area. Here’s my story I really wanted to share with you and other unlucky motorists who have happened to get into potholes at least once. 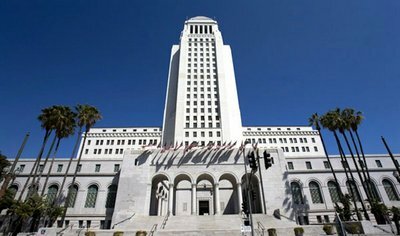 It’s been almost a year since I started fighting a losing battle with the LA City Attorney’s Office. 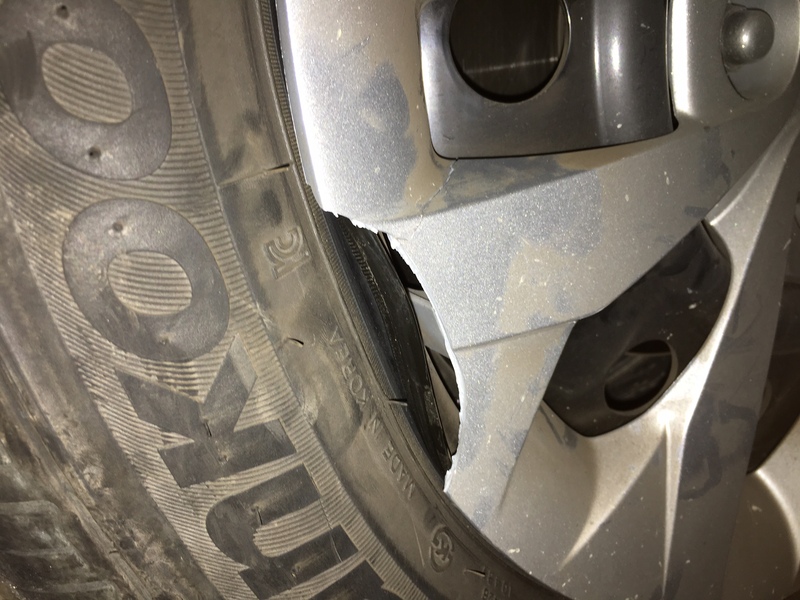 I got into a pothole during afternoon rush hour of 9/15/2015 as well as at least 10 other drivers and claimed the damage two days after since I had to take care of replacing both of my right tires the day after the accident. 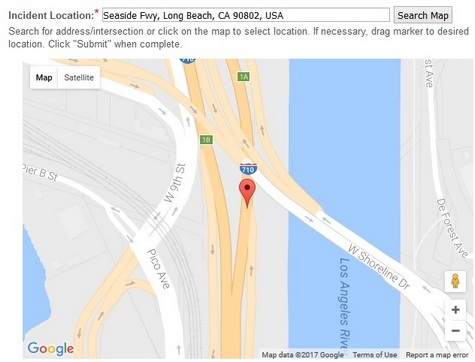 This is where the information you’ve shared on your site came in handy and I’ve filed my claim at lacity.org (thanks again). Due to some personal and professional business, I hadn’t had a chance to check up on the applied claim up until January, 2016. As a side note, I’ve never heard from the City Attorney’s office during that time either – the claim hasn’t been denied, neither was it approved. Then again I was out of the game for a couple of months due to a big project at work and got back to bombarding them with calls in May when they finally informed me they didn’t have my claim. They advised I could send them the copy of my claim either via mail or fax. On 6/18/16 I mailed them the copy of my claim together with a copy of the dealership bill for replacing my shredded tires. Checked back with them in a three weeks, and guess what? Correct! They never got my letter (even though I double checked the mailing address with the employee I was taking to several times over the phone). The same day I faxed them my claim, got their confirmation on receiving and had to wait another two weeks until it got assigned to an investigator. I reached out to the City Attorneys office on 8/1/2016 once again and discovered my claim had been assigned to Mr. Robert Arevalo, who I tried to reach out to during that day with no luck and ended up writing an email which I never got any reply to. 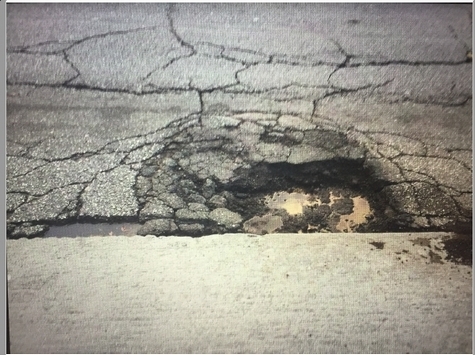 Finally today (8/22/2016) I was able to reach Mr. Arevalo by phone, who told me the fact I didn’t have any photos of the pothole attached to my claim didn’t benefit me and he would need to request street maintenance records, which is going to take another year! to be processed, since they needed a proof the pothole was really there. 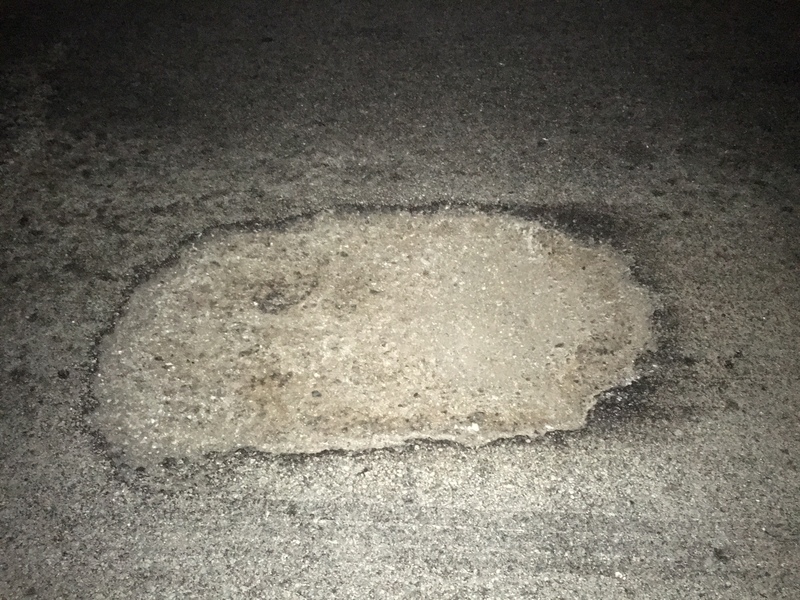 When I said I had witnesses among other drivers who got into the same pothole right before I did I was told they never got any claims from them (which is really strange because all the drivers I talked to were going to file the claim to get the reimbursement). As a side note, I really didn’t take any pictures of the pothole since the manhole with a pothole around it happened to be right in the middle of a busy intersection (I got into it while turning left). 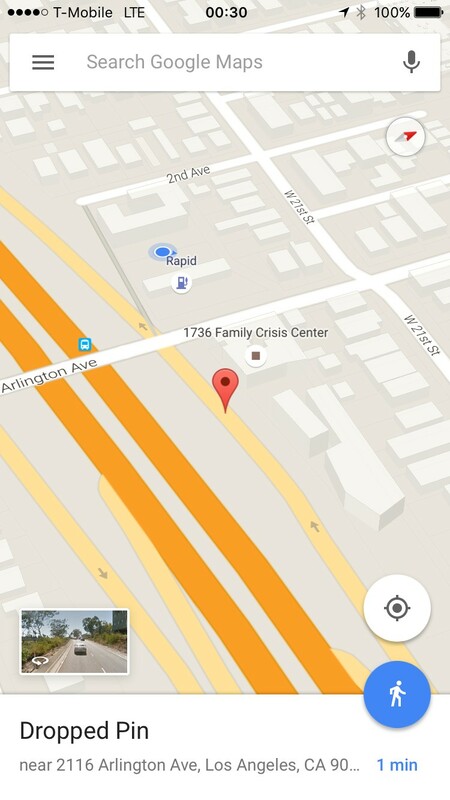 This week I’m planning to visit Street Service Bureau’s office and request street maintenance records. As I’ve found out you have to request the records in writing. Decided to go there in person since the letters have a tendency to get lost. I would really appreciate if you could share my story so other people who’re going through the same bureaucratic Hell on Earth at the moment could read it, find it useful and maybe share some advice. Keep plugging away, Julia. The key is persistence and documentation — you need to document every email, letter and phone conversation because the City’s Attorney Office “loses” so many emails and letters. Good luck. It’s in the far right lane and measures about 4-6 feet in length, 2 feet wide and about 6-8 inches deep. Observed on July 16 – not sure how long its been there, but looks very worn overall. Approx. size: Massive 2-3 ft wide and 0.5ft deep. It broke the tires, rim and the alignment on my brand new BMW 650i. Approximately $1000 in damage. Length of time it’s been there: Noticed it today. 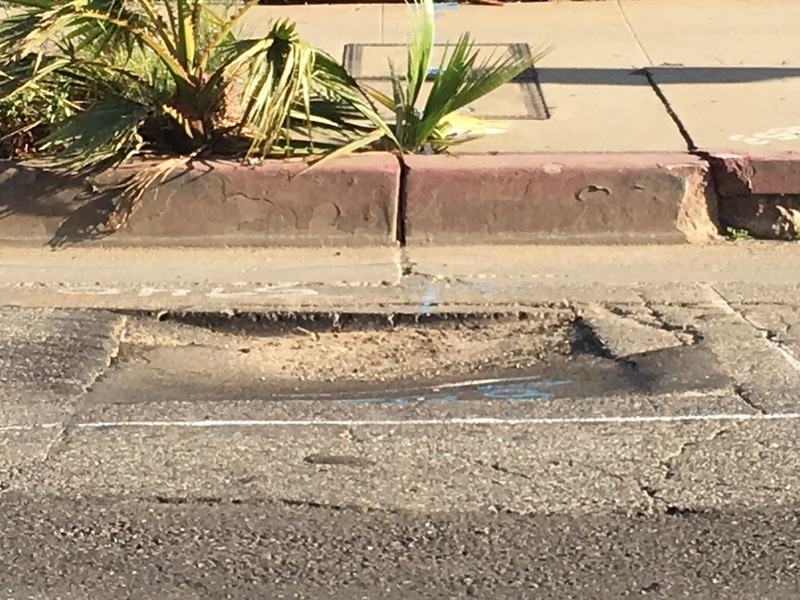 The September 10 issue of LA Weekly weighed in on Los Angele’s never-ending struggle with potholes and horrible streets. Here’s the opening of the their article, penned by Hillel Aron. You can read it in it’s entirety here. Perhaps the nicest thing you can say about Los Angeles streets is that they may, in fact, not be the worst in the nation. However. Driving is such a fundamental part of most people’s lives, it’s easy to take every crack, pothole and bump as a personal affront, not to mention a financial burden. 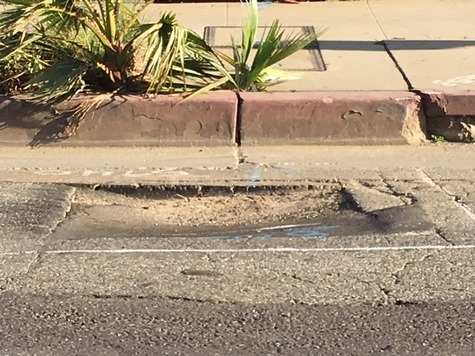 According to the blog L.A. Potholes, a great chronicler of some of our city’s worst patches of road, Los Angeles drivers spend an average of $693 a year to repair vehicle damage caused by our messed-up roadways. Some drivers file claims against the city — but according to a 2013 report by KPCC, the city pays out on only 10 percent of claims. What’s a driver to do? We’d recommend a few defensive driving tips: Avoid the far right lane, which gets torn up by buses. Slow down when the ground below you seems to crunch. And avoid these 11 hazards.